Acc. by ED WATSON ORCH. 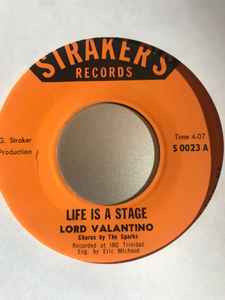 This single by Lord Valentino aka Brother Valentino was released for the 1972 T&T Carnival season and the song "Life Is A Stage" was a major hit at the calypso tents and on the radio that year and is now regraded as conscious calypso classic.